Every time you get a new cellphone, computer, or gaming system, you probably wonder what to do with the old one. You can’t decide whether to toss it, give it away, or sell it. So the stuff just sits there in a closet, collecting dust, losing value, and not helping anybody. 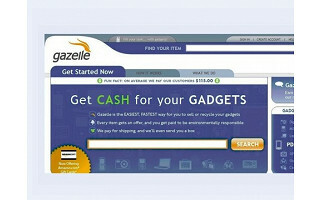 Gazelle is a website that buys back many types of used electronics, and knows exactly what to do with them. Gazelle keeps stuff out of landfills by reselling through retail, wholesale, and recycling channels. They’ve gotten rave reviews for being leaders in the “recommerce” effort, a new movement to realize the value of reuse as a powerful first step in recycling. Just go to their site, search for the device you’re trying to sell, answer some questions about it, and get a quote on most items instantly. If you want to sell, they’ll even send out shipping materials free. In just 10 days, you can get payment via PayPal, check, or Amazon gift card (or they’ll help you donate the value to a good cause). And even if your gadgets have no resale value, Gazelle will make sure they’re recycled properly and don’t wind up in a trash heap. A few moments ago, I did a quick search. Turns out if I sent them my cell phone, my laptop, and my Wii, I’d get $254. I look forward to “Gazelling” something soon! Gazelle is thrilled to be featured today. We can't wait to hear what people think of the service, and we'll be monitoring comments to answer any questions you might have. This sounds terrific. I think I've heard about this before but really appreciate Daily Grommet getting the word out! I wish I had known before I dumped all those computers last year. But I suspect there are still some other things that qualify! This is great! I'm going to use it. Have a heap of stuff to recycle. I've used Gazelle. Better and easier than eBay. Gazelle ships you packaging if your gadget (or combination of gadgets) is valuable enough, and they will pay for shipping. Drop it in the mail and they send you a check. Convenience wins! This sounds terrific! I have a pile in my living room that has been sitting there for over a year. Now's the time to do something about it!!! I'm not sure.....where does Gazelle sell the stuff that they buy? ....And how do you recycle the stuff that you're not able to recommerce? Hi, Thanks for taking the time to look at our post, and for your praise, comments, and questions. In response to Green Godess, more than 2/3 of products we receive are eligible for ReCommerce. The majority of these products are sold for reuse through retail or wholesale channels. Products that are not eligible for ReCommerce are responsibly recycled through rigorously selected partners. Two of our largest recycling partners are TechTurn and ReCellular. It is our promise to our customers that items sent to us will never end up in a landfill. Thanks Gazelle! Glad to see that you really do recycle and I know of both TechTurn and ReCellular...legitimate. Good for you! I'm inclined to try your service. Great co. I'll use them when I have gadgets to recycle. Good find, Grommet ! @ Thos--how do you handle the shipping? From the write-up here on Grommet it sounds like there is a certain $ value minimum for me to get your help with that. Just curious...as I think that is a nice feature. Would save me a step. And another question.....what is the most popular type of gadget to resell? Gazelle struck me as an extremely useful website in addition to a possible source of some extra cash. No downside here. @Lisa - Great questions! We email you a pre-paid shipping label as long as there is at least one item in your box that we are paying you for. For the majority of transactions we even send you a box with the pre-paid shipping label on it already, and we're working on ways to extend this so we can send packaging to everyone. As far as what's popular right now, we're seeing a lot of Motorola RAZRs and 8GB iPhones, as well as Dell notebooks. Since the start of the year we've also seen a spate of Kodak Easyshare digital cameras. @Thos Thanks for the answers. Really like that shipping convenience. This is simply awesome. I have never heard of Gazelle.. my husband owns a computer repair/maintenance business and our house is filled with all sorts of things like this. We've never been quite sure what to do with most of them - throw them out, donate, give away. This is perfect! Thank you! I love the tagline: "the joy of recommerce." Lets face it though we all have lots of stuff that collect at our homes and offices. Technology changes all the time making this years hot ipod next years obsolete ipod. We need to be responsible in how we dispose of these things...Gazelle allows us to make a little money and responsibly dispose of these things. We have alot of stuff that we are moving out right now. Not much dough but it feels good to do the right thing. Great discovery Grometeers. A big need. A timely offering. The opportunity to change the world. That is cool. I truly respect those who can create value out of someone else's castoffs. We need more such businesses! Thanks Jeff, Pam and all for stopping by and sharing your thoughts about this service. Thanks for supporting their efforts! Every time you get a new cellphone, computer, or gaming system, you probably wonder what to do with the old one. You can’t decide whether to toss it, give it away, or sell it. So the stuff just sits there in a closet, collecting dust, losing value, and not helping anybody. 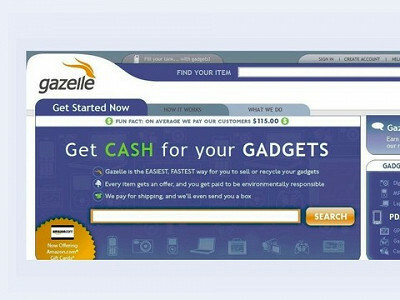 Gazelle is a website that buys back many types of used electronics, and knows exactly what to do with them. Gazelle keeps stuff out of landfills by reselling through retail, wholesale, and recycling channels. They’ve gotten rave reviews for being leaders in the “recommerce” effort, a new movement to realize the value of reuse as a powerful first step in recycling. Just go to their site, search for the device you’re trying to sell, answer some questions about it, and get a quote on most items instantly. If you want to sell, they’ll even send out shipping materials free. 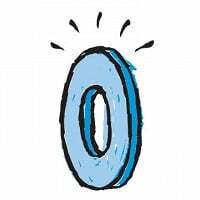 In just 10 days, you can get payment via PayPal, check, or Amazon gift card (or they’ll help you donate the value to a good cause). And even if your gadgets have no resale value, Gazelle will make sure they’re recycled properly and don’t wind up in a trash heap.